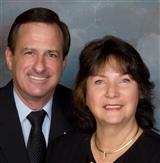 With Coldwell Banker Weir Manuel, relocation is a “moving” experience. 1. Represent them as Buyers Agents (working with their relocation coordinator) and help them find a great new house. (If they plan to rent initially, we may also be able to help them there, but our preference of course is home buyers). 2. Coldwell Banker is associated with Cartus and many other relocation coordinators – it would be very unusual if our company was not able to work with their relocation source. 4. Refer them to one of our associates in the state if we cannot personally handle. 2. Put them in touch with a great agent in the area they are moving to to find a new house. A relocating home buyer typically must contend with a narrow window of time and a host of overwhelming details, adding to the pressure of a job change and move. That’s why our relocation services are truly concierge-level: We take the time to assess and understand the needs of transferees and personally guide them throughout the relocation process. We take away the stress by showing them only those homes that are perfect for their lifestyles. We are a member of Cartus, the nation’s leading real estate referral network, consisting of approximately 450 principal brokerages and 500 associate brokers who bring buyers to you. Through Cartus and our collective relocation efforts, we bring thousands of potential buyers to our listings and specialized expertise to help with your buying or selling experience.